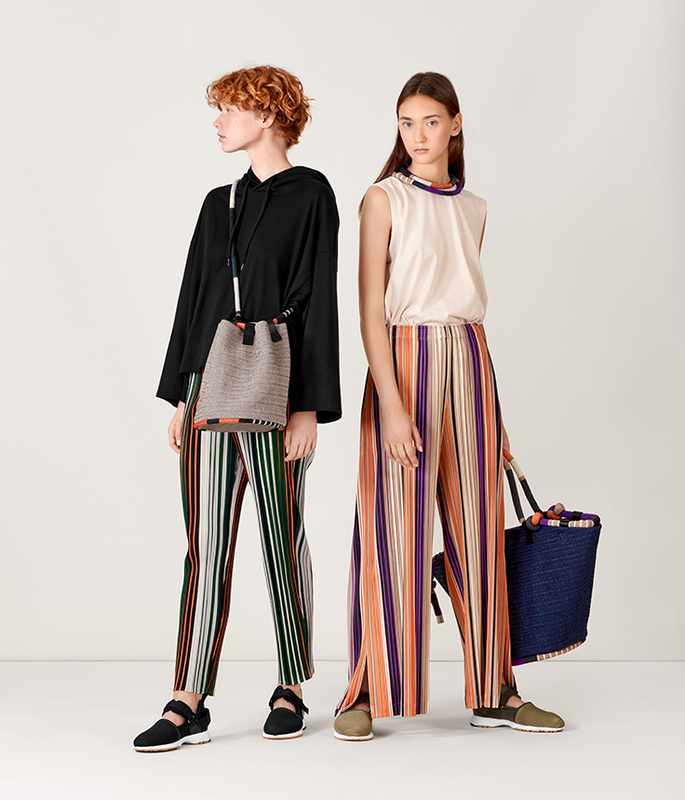 STRIPE BOTTOMS, ROPE BAG | PLEATS PLEASE ISSEY MIYAKE | News | ISSEY MIYAKE INC.
A bottom series with multi-colored pinstripe patterns. Through the use of thin cloth, a simple, casual style is expressed that suits the image of the patterns. Raffia palm-like bags woven with rayon and nylon thread that use a vividly-colored rope for the handle.